Telling stories is as innate to humans as breathing. Stories help us organize individual and shared experiences and attribute meaning to them. Each one of us carries stories that comprise our unique narrative—our identity. Marketing is an economy of stories. It’s no coincidence that the brands that resonate with us most weave the most compelling narratives. In this series, we’re taking a closer look at innovative brands that are changing the narrative in their respective industries, beginning with fashion. What you wear is, whether you like it or not, partly indicative of the type of person you are. Whether you’re a luxury designer dilettante, a streetwear hypebeast, a modern minimalist, or of the t-shirt-and-jeans variety, there’s a piece of clothing out there that will speak to you. Fashion is so closely tied to our sense of self-expression: we naturally connect to brands whose styles and stories align with our own. Fashion is a dynamic industry colored by pop culture and seasonality. The market is oversaturated with trends and, increasingly, consumers are looking for something different. Here are a few brands who are starting new conversations about how we think and talk about fashion. 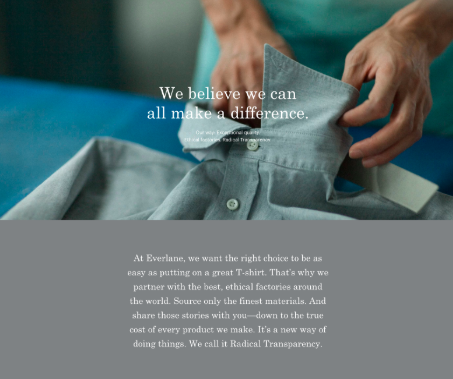 Everlane tapped into something significant when they launched online in 2010. Their no-frills, modern basics also reflected their brand pillars of sustainability, labor ethics and transparency. When you shop at Everlane, you know exactly what you’re paying for, where it came from, and who made it. The brand disrupted fast fashion and really resonated with millennial consumers who are hyper-aware of the impact of their purchasing power. Lingerie brand Aerie broke new ground when they rebranded in early 2014 with the promise to no longer retouch models. The campaign, appropriately named #AerieREAL, promotes girl power, body positivity and inclusivity. It struck a chord with consumers who sought to redefine industry standards. Soon enough, empowered women were rallying around the brand and sharing their own stories on social media. 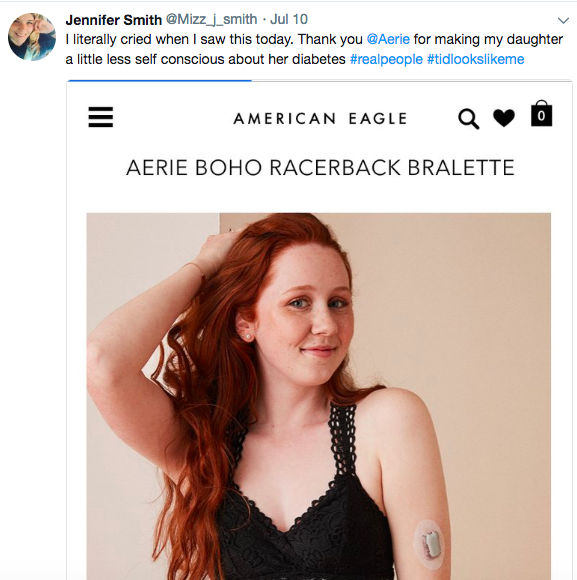 Last month, Aerie got even more real, launching a campaign featuring people with disabilities and illnesses—something completely unheard of in today’s fashion world. Rent the Runway makes it possible to wear what Beyoncé’s wearing. Now a household name, when Rent the Runway launched in 2009, it closed the seemingly unbridgeable gap between the average consumer and designer fashion. Why blow a paycheck on a dress you’ll wear once when you can rent it for a fraction of the price? With thousands of glamorous pieces to choose from (and free returns), rocking designer has never been more accessible and guilt-free. After a night of stealing the spotlight, you won’t even have to wash your rental before you send it back. Last word: In the competitive market of fashion, a brand’s narrative is the value prop. By adding a different story to the traditional fashion world, brands like the above are grabbing our attention (and dollars) more than ever.